March 20 Dennis Freeman Jr.
SACRAMENTO-Although the Sacramento Kings are not in the running for the playoffs, they proved they can compete at a high level against some of the elite teams in the NBA, out working the Chicago Bulls just a week earlier in a blowout win at home and battling with the 16-time champion Los Angeles Lakers, in a tough road lost that came down to the last few minutes of the game. That’s before the team dubbed “Lob City” came into town visiting the Kings as the third seed in the Western Conference standings. The Los Angeles Clippers were hoping to improve on their winning record with a victory over the Kings, sporting an impressive 46-21 mark (Franchise best) before tip-off. Thanks to some late hot-shooting down the stretch, the Kings knocked the Clippers down a notch in the current postseason standings, bumping Chris Paul and Co. into the fourth-seed position with a 116-101 win at Sleep Train Arena. If the playoffs were to start today, the Clippers would face-off against the streaking Denver Nuggets. That’s not a good proposition for Clipper Nation. But that’s not the Kings’ worry. 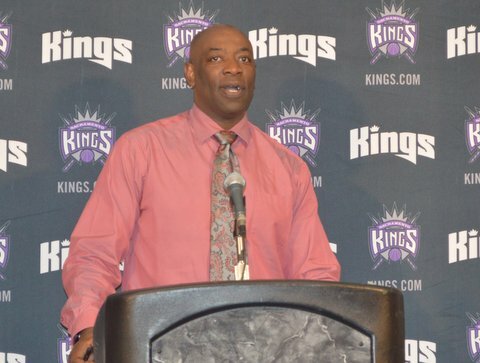 What Sacramento coach Keith Smart is concerned about with his team is being to go out and compete at a high level. The Kings (24-44) were able to defeat the Clippers (46-22 after the game) by getting six players to score in double-figures, while shooting at a 50 percent rate from the field. The Kings also connected on 14 three-point shots for the game. Blake Griffin’s 26 points wasn’t enough to keep the Los Angeles Clippers from losing to the Sacramento Kings at Sleep Train Arena. The Kings came into the game with a mindset that they weren’t going to just lie down just because one of the league’s best dynamic duos in Paul and high-flying Blake Griffin were in town. The Kings had a plan to slow down the Clippers’ potent offense: defense. With a collective team effort on the defensive end and help from Toney Douglas off the bench, Paul struggled to find his rhythm and managed to score just 11 points on 2-of-10 shooting from the field in 43 minutes of action. “You can control the ball with point of attack defense, and I think Toney (Douglas) did a great job of that,” Smart told reporters in response to a question about how the team was able to slow down the Clippers’ high-octane offense. Griffin scored a game-high 26 points. Sixth Man of the Year candidate Jamal Crawford chipped in with 25 points off the bench for the Clippers. But it wasn’t enough to offset the balanced scoring of the Kings. 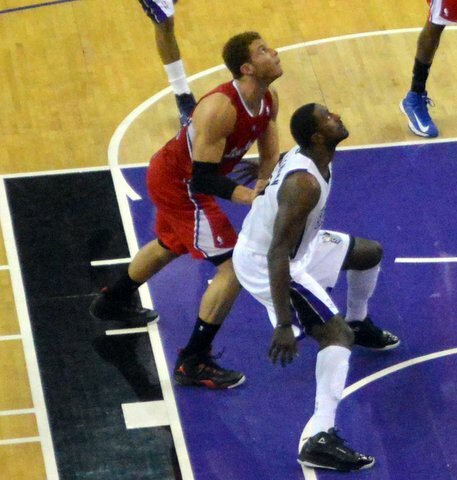 Guard Tyreke Evans scored 17 points and dished out five assists. Center DeMarcus Cousins, in his first game back from a left thigh contusion, added 17 points and snatched nine rebounds in the win. Marcus Thorton, however, was the hot man for the Kings, dropping six 3-pointers on the Clippers enroute to scoring a team-high 25 points. It was pretty much anybody’s game coming down the stretch. With the Kings up 94-93, with fewer than five minutes left in the game, Smart decided to foul center De’Andre Jordan off the ball, which sparked a run from Sacramento. Douglas popped three 3-point shots during this stretch, including one from deep to beat the shot clock. Thornton put the nail in the coffin with a 3-point dagger of his own with 1:30 left in the game to give the Kings a 110-98 cushion.